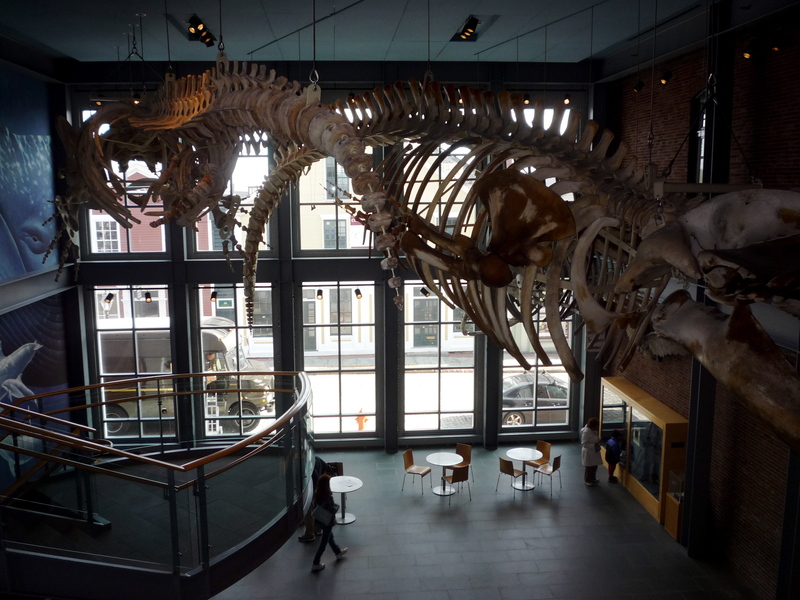 The New Bedford Whaling Museum in New Bedford, Mass., makes for a terrific, affordable family cultural travel destination with adult admission $14 and children only $6 (kids five and under free), at this writing. I absolutely loved the visit here, taking in the rich history of the New Bedford whaling industry through myriad interactive exhibits, a large whaling ship model that you can climb aboard, artifacts, fine and decorative arts, scrimshaw and eye catching whale skeletons. Not knowing a lot about the whaling industry before entering the Whaling Museum, I felt like I came out of here as a PhD, thanks to the incredibly knowledgeable staff that put no time limits on answering my questions about the whaling industry in New Bedford during the mid 1800s. Sometimes, I find historical museums a bit stuffy and boring, but not the New Bedford Whaling Museum. Visiting on a school vacation day, I witnessed nearly 100 percent of adults and kids really taking an interest in the Whaling Museum presentations. What’s truly astounding is that I saw few people texting or on their cells phones or IPods (rather, a focus on a “pod” of whales here). 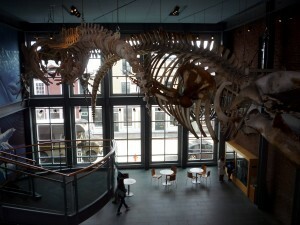 Now that is a real testimony to how the Whaling Museum captures the interest of visitors! The Whaling Museum also has a great location, located in the heart of the 13-block New Bedford Whaling District with its historical brick and stone buildings, cobblestone streets, imperfect “nooks and crannies” grid of streets, and a growing dining, arts and cultural scene. I suppose the appeal of a museum not only resides in its history but also in the presentation and the passion of the given subject matter that the staff shares with the visitors. Modern, well laid out and clearly dedicated to the visitor rather than self glory and importance, the New Bedford Whaling Museum resonates with a sea of entertaining and educational offerings without emptying your wallet.